Product Size: 11 ft. x 21 ft. 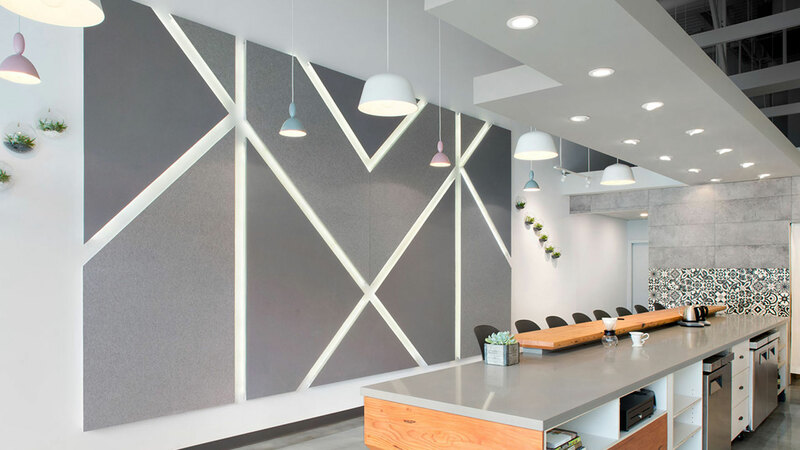 In a hip modern artisan café in the heart of Vancouver, the geometric arrangement of 3mm Designer Felt wall panels complement the restaurant’s sleek interior. 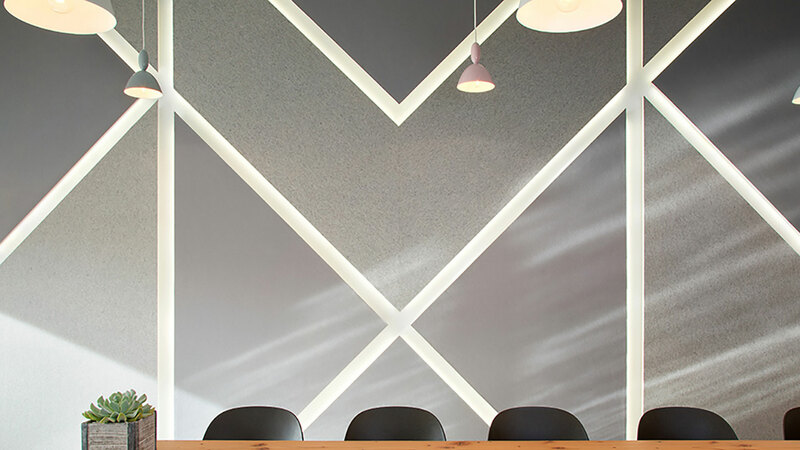 The soft texture of Designer Felt is set against the crisp angularity of the custom cut sections to achieve a feature wall that’s hard to miss. 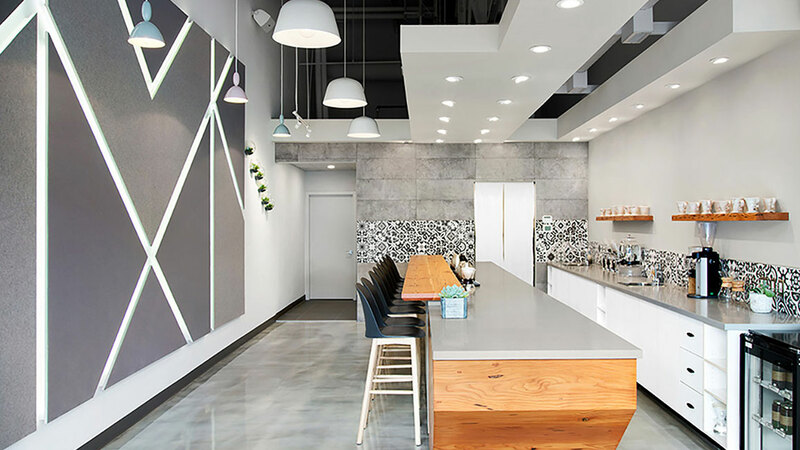 The design features slightly elevated panels with a self-lighting back to add a third dimension to the feature wall and beckon customers in.